I recently bought a cheap wipe clean notice board, to help me remember the crafty makes I need to make. This weekend I played nicely with it and I am very pleased with the finished look. Wipe clean board from The Range. Indigoblu acrylic paint hot cocoa & pantry white. Spellbinders cutting dies leaves, fantastic flourish one. Cheery Lyn cutting dies, leaves, large flower, lily. Silicone mould, buttons, key, bee & crown. Indigoblu stamps, sheet music & flutterby. I removed the white wipe clean board, leaving just the frame. The frame was then painted with brown paint. Once dry I applied the hot glue to the frame randomly. A second coat of brown was then applied. To give the frame an aged look I applied a small amount of white paint using A dry brush. The leaves were made using the cutting dies and applying a small amount of cosmic shimmer spray. The flowers were created by first stamping the sheet music stamp onto white card stock, then die cutting flowers. Coloured using the distress inks with an ink duster and finished with little stamens. The remaining embellishments were all made out of air dry clay and silicone moulds, then painted using metallic paints. The butterfly was stamped onto metallic card stock and acetate. The acetate butterfly was coloured using promarkers then mounted on top of the card version. The scroll of music was by stamping the sheet music stamp onto white paper, then distressed using distress inks and tied with an odd piece of cord to hold together. All the embellishments were stuck to the frame using silicone glue. The wipe clean white board was the slid back into place . I have enjoyed making this really useful item. Having enjoyed last months challenge I thought I would have a go at this months. I decided to make a card, although this wasn't my first choice. I originally got some air dry clay and stamped the poppy image into it, complete with coloured ink. I then cut it out with a cookie cutter and made a hole in the top. The idea was to make a pendant however, the ink didn't keep its sharp colour and it bled into the clay. The card I made is 6x6 white with red and black mat and layering. The main image was made using super smooth card. I masked around the edges to get a crisp border, then stamped my sentiment and two poppies. 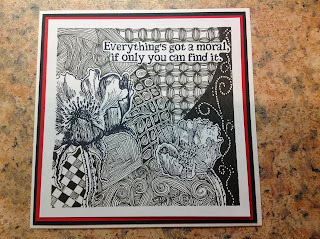 The zentangle art was then added. I left a small border around each stamped image to make it easier to pick out of the patterns. The first card I made didn't have a sentiment however, I remembered the Alice in wonderland stamps and liked the idea of....if you can see the poppies then you will understand their meaning. 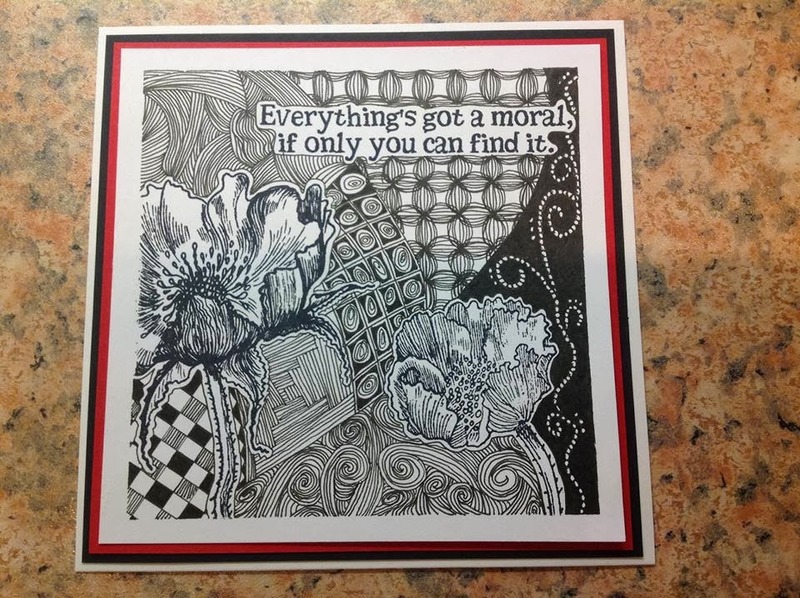 The finished card you see here is take 2 of my first attempt at zentangle art. My sore fingers are testament to the concentration and time its taken. What a great way to spend a Sunday. As an avid fan of all things Indigoblu, I decided to have a go at one of their blog challenges. Since I have loads of cards I decided to use one of the folk hearts I have had for a while. The theme is chocolate orange. and a length of gold coloured chain. I painted the heart in orange paint. Once dried I mixed a dab of brown paint with some Kroma crackle. The layer of Kroma crackle was applied quite thick so as to make a nice deep crack in the finished item. Slap it on was then applied to seal and stop the cracking process. I painted some orange card stock with the brown paint, using different brush strokes. I also stamped on the orange card to add interest before punching out the flower shapes. The sentiment was stamped with flitterglu and finished with mega flakes. I cut the words 'Making Daisy Chains' into individuals. Using a head pin and assorted pearls I made the embellishment to hang at the bottom of the gold chain. The punched flowers are attached to the chain and the chain then feeds through the hole at the top of the heart to make a loop in which to hang. To finish I ran some flitterglu around the edges and rubbed in some ultra fine orange glitter. Once everything was stuck in place I think I have quite a nice decoration that's a little bit different. Taking a photo that does this piece any justice was really difficult. In 'real life' it looks very shiny and the crackle looks like a rich chocolate with a hidden tangy centre. A friend asked me to make a birthday card for her Dad. He is going to be 80 in December and used to be in the Navy. 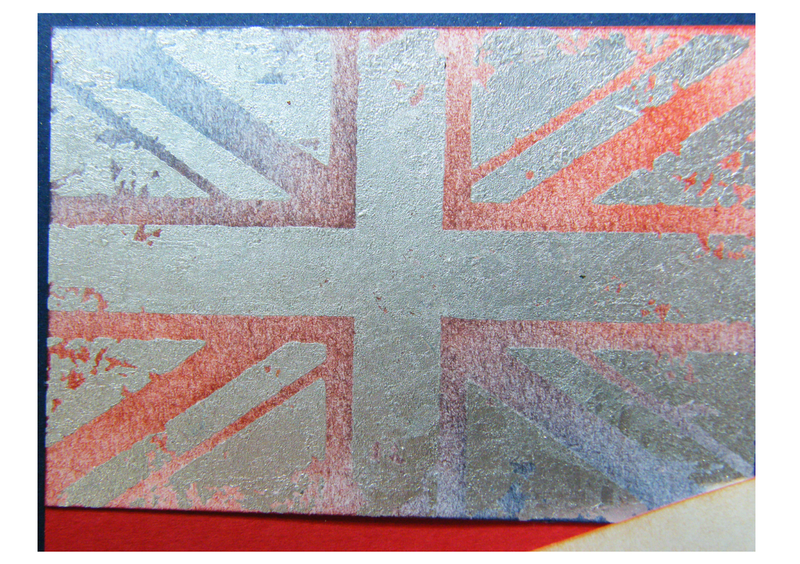 I don't have any stamps with ships on however, I do have the beautiful union jack stamp from Indigoblu. I used a white a5 card blank, I matted and layered using a blue base, with the edges dipped into the shiny Sheffield steel gilding flakes. 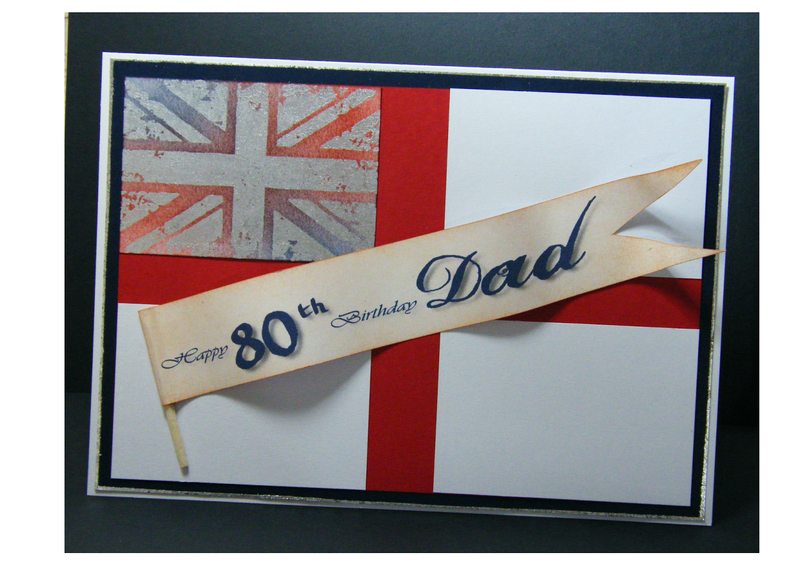 next I used red card to mount the flag stamped image and 3 white pieces of card to make up the naval flag design. 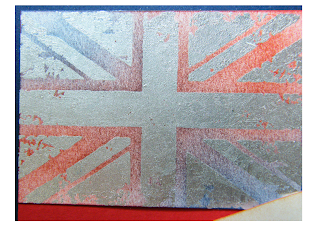 I stamped the image using flitter glue and covered it in Sheffield steel gilding flakes. to fill in the blank gaps I blended distress inks faded jeans and fired brick. 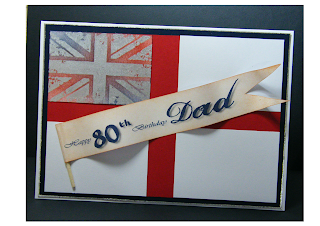 the flag across the front of the card was made with white card inked around the edges with distress ink tea dye. The greeting was typed on my PC. 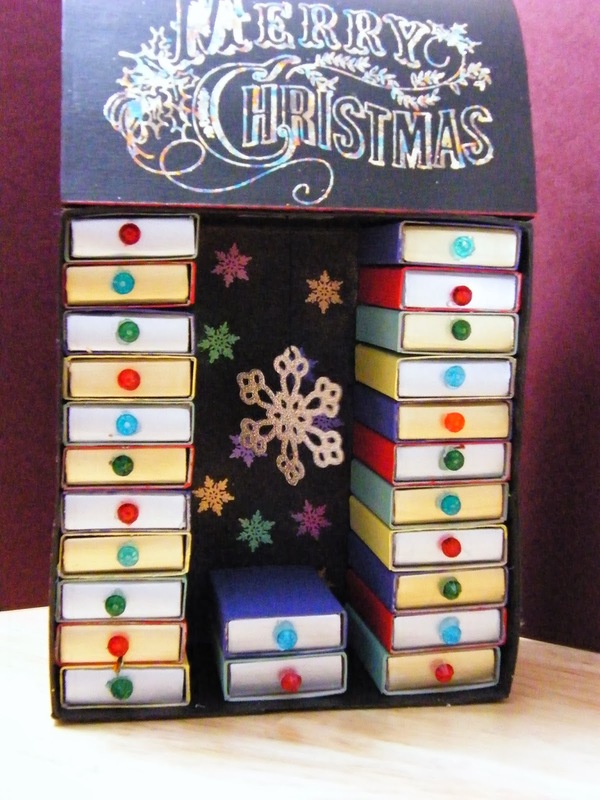 This afternoon I took some pictures of the advent calendar I have made for my fairy godmother. 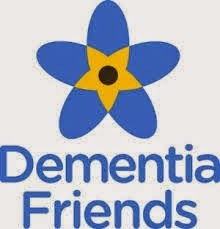 Unfortunately I don't have pictures along the way, just the finished article. 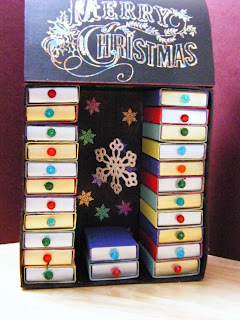 I bought a pack of 100 match boxes from Costco and painted them using Indigoblu acrylic paints. The stamp at the top of the advent calendar is Indigoblu and flaked using their Morris dance gilding flakes. The small snowflake stamp is Crafters companion, from the winters tale collection. I coloured the small flakes with Cosmic shimmer mica powders. The large dangling snowflake was made with a spellbinders die and an odd bit of glitter card stock. The draw handles were made by sticking plastic bicone beads with silicone glue. To add the numbers I will handwrite on each drawer. Its not perfect but I will have great fun finding small bits and bobs to fill it and I am hopeful that my fairy godmother will have great fun counting down to Christmas. So I decided to start a blog. Hopefully there will be plenty of pictures to come, documenting my creative streak. I have been crafting a few years now. Card making was my first venture and I am moving quite quickly into other things. Stamping will always be my true love however I am enjoying putting my stamps onto things other than cards.